Interests: Health Informatics, Electronic Health Record, Biomedical Engineering, Information Quality, AssistiveTechnology. Damon Berry received the BSc in Control Systems and Electrical Engineering from Dublin Institute of Technology an MSc from Dublin City University and a PhD from TCD. 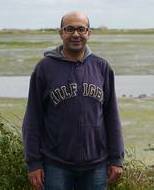 From 1995 to 2000 he worked as a developer and team leader on various EU-funded medical informatics projects at DIT. He has represented DIT at OMG meetings and in the ISO TC215 and CEN TC 251 standardisation organisations where he was involved in the work of PT 36 Clinical analyser interface project team and is now Ireland's representative on TC 251 WG1. In 2000 Damon was appointed as a lecturer in the School of Control Systems and Electrical Engineering where he teaches computing. From 2002 to 2004 Damon was seconded to the DIT faculty of engineering as the Student Recruitment coordinator. More recently he has worked with Ted Burke to establish DIT's highly successful RoboSlam STEM activity. Damon's research interests span the following topics in health informatics and assistive technologies; instrument interfacing, electronic patient records, automated clinical guidelines, mobile health monitoring, applied digital signal processing. He lectures in industrial computing and engineering computation and on the Engineering	Design Module which resulted in DIT's Robo Sumo challenge. Interests: Human-machine interaction, assistive technology, biomedical signal processing, embedded systems, music technology and toys. Ted Burke's undergraduate and postgraduate studies were all undertaken in UCD. He was awarded a BE in Electronic Engineering in 1998, an MEngSc in 2001, and a PhD in 2005. The title of his MEngSc thesis was Rehabilitation applications of musical human-computer interfaces and the title of his PhD thesis was Accessible human-computer interfaces for communication and creative expression. From 2001 to 2005, Ted managed UCD's Rehabilitation Engineering Laboratory (situated in the National Rehabilitation Hospital in Dun Laoghaire, Co. Dublin), where he conducted and coordinated research in a wide range of rehabilitation and assistive technology projects. 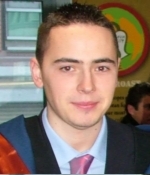 He subsequently spent several months as a post-doctoral researcher in UCD's Multimodal Signal Processing Laboratory. Since 2005, Ted has been a Lecturer in DIT's School of Electrical Engineering Systems, where he teaches a range of subjects including Robotics, Engineering Design, Engineering Computing and Bioelectromagnetism. His primary research interest is human-machine interaction, with an emphasis on facilitating communication and control. His other research interests include biomedical signal processing, embedded systems, music technology and toys. Interests: Rehabilitation engineering, computer vision, motion tracking and analysis, human body modelling and 3D reconstruction. 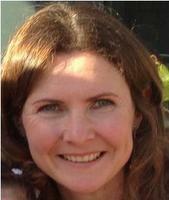 Jane graduated with a degree in Electrical Engineering (BE) from UCD in 1998. After a year working as a project engineer with ESBI, she returned to UCD to pursue research in biomedical engineering and graduated with a masters (MEngSc) in 2001 and a doctorate (PhD) in 2005. Her research focused on using digital image processing to develop a novel gait analysis system. Jane’s research interests include computer vision, image processing, motion tracking, human body modelling and biomedical engineering. In 2004, she taught on the intervarsity MSc in biomedical engineering. She also presented her work at an IEI organised event in Trinity College Dublin in April 2005 and at the Technical University of Košice in Slovakia where she spent several months. She sat on the programme committee of the Medical Imaging and Telemedicine conference (MIT) held in FuJian, China, in August 2005 and the International Machine Vision and Image Processing conference (IMVIP) held in August 2006 and September 2007. She was also a reviewer for the European Conference on Circuit Theory and Design (ECCTD) held in August 2005. She is part of the Health Engineering and Rehabilitation Team (HEaRT) and People Oriented Technology (tPOT) research groups in DIT and an adjunct member of the Vision Systems Group in DCU. From September 1999 to April 2001, Jane worked as an assistant lecturer in the Department of Electrical Engineering in DIT. While pursuing her PhD, she worked as a lecturer in the Department of Electronic & Electrical Engineering in UCD. She returned to DIT as a full-time lecturer in September 2004. Interests: Clinical Laboratory Validation, Software Agents, Agent-nets, Supervisory Control and Data Acquisition Systems SCADA, Programmable logic Controllers, Building Control, Energy Efficiency, Intelligent Control, Context Driven Communication, Ecological User Interfaces, Assistive Technology and Real-time Dynamic Control. John McGrory began commercial life abroad on the production of automobiles and later performing and documenting destructive testing on Programmable Logic Controllers (PLC). Thereafter, John worked as a contracts manager and project manager for two Irish companies specialising in large scale mechanical, electrical and control installations of industrial processes. This work included mechanical and electrical design and development, interactive automation, Supervisory Control and Data Acquisition (SCADA) systems, HVAC and multifaceted process control. During this time John gained status as an Chartered Engineer (C.Eng.) with The Institution of Engineering and Technology, and Chartered Engineer with Engineers Ireland. 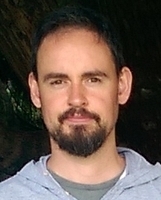 In 2001 John received his Masters in Engineering Computation and joined the academic staff in the DIT specialising in electrical, intelligent automation and process control of buildings and commercial processes. John’s research area focuses on cross-discipline intelligent validation systems. This is where real-time sensor information is used to validate and produce the correct appropriate response by control systems under different conditions using cross-discipline instruction sets. Cross-discipline instruction sets are knowledge components which are developed based on a particular discipline (e.g. electrical, medical, financial etc.). For the outcome of the control action to be successful each discipline team and individual team members must act harmoniously in their decisions, actions and coordinated activities. This cross-discipline intelligent validation has been extended for use on herd animals, buildings and medical patients. John completed his Doctorate research in the area of patient-centred clinical validation using autonomous socialising knowledge agents through Trinity College Dublin (TCD). A current avenue for research is to extend the developed agent based intelligent validation technology for use on mobile devices for use in buildings, on animals and medical patients. Overlapping with his ongoing research John has worked with international companies on documenting the performance of cross-discipline projects. This is where the channels of interaction (i.e. meetings, emails, telephone communications) between cross-discipline teams are monitored and nuances of the method and success of knowledge transfer between these disciplines is analysed. For the last four years John has been a Guest Professor at Institut Universitaire de Technologie, Béthune, France, in the Le Département Génie Electrique et Informatique Industrielle lecturing in the area of SCADA, PLC’s and industrial automation. Frank has been working for more years than he cares to remember in DIT. Apart from the day job working with undergraduate student engineers, Frank spends his spare time tinkering with electronics, Linux and microcontrollers - three areas which fit nicely into the IoT arena. He has extensive experience in the areas of power electronics, operating systems development and instrumentation. He has also acted as advisor on a number of tPOT and UPQRC research projects and acted as a co-supervisor in Mark Nolans PhD project. Frank is also an active member of the roboslam team and is currently leading an initiative to develop online digital resources to enable RoboSlam to be used as part of the Junior Cycle curriculum. Interests: Distributed Systems, Context-Aware Computing, Service-Oriented Computing and Assistive Technology. Paula Kelly holds a B.E. In Electronic Engineering from N.U.I.G. and an M.Sc. in Software Engineering from A.I.T. Prior to joining the academic staff in D.I.T. in 2002, Paula worked for 8 years in the software industry. During this time she gained extensive, hands-on experience of the software engineering process across a number of software engineering roles in both multinational and start up enterprises. Paula's research interests include Software Development, Distributed Systems, Context-Aware Computing, Service-Oriented Computing and Assistive Technology. . Paula has a keen interest in STEM related issues with particular emphasis on encouraging more women to become involved in the fields of engineering and technology. She is also involved as a volunteer tutor and facilitator in a number of STEM activities hosted by tPOT including the hugely successful roboslam initiative. Paul Stacey received a Diploma in Applied Electronics from the Dublin Institute of Technology (DIT) in 2000 and his BEng in Electrical/Electronic Engineering from DIT in 2002. He subsequently went on to complete an MPhil in 2004 also from DIT. He then took up a position with LMI Ercisson having completed his MPhil in 2004. At Ericsson he worked as a Telecom's Design Engineer specifically on the implementation of Ericsson's UEH 3G solution. In 2006 he left Ericsson to join the Irish SME Techworks Marine. At Techworks he worked on the design, building and deployment of marine monitoring systems on a diverse number of projects including solutions for aquaculture sites and marine buoys. 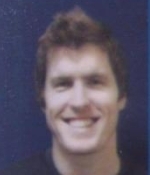 In 2008 he took up an Assistant Lecturing position at the Institute of Technology Blanchardstown (ITB) in Computer and Electronic Engineering. At ITB he continues to teach a wide range of modules and has been involved in a number of successful industry collaborations including assisting EC Charging Ltd. develop their electric car charge point solution and become the preferred supplier to ESB Ecars. In 2014 he registered on the part-time PhD program with the tPOT research group, based in the Schoool of Electrical & Electronic Engineering at DIT. His PhD research looks at the challenge of knowledge generation and representation in geographical information systems (GIS) with a focus on remote sensing systems. His research hopes to tackle the question of how can sensed data about natural phenomena be efficiently augmented with context, lineage and meaning at source (the sensor node). Hicham Rifai received an MPhil from DIT in 2015, his research focused on using image analysis and multivariate analysis to monitor several pharmaceutical manufacturing process. He received also an MSc in Engineering Mathematics from Chalmers University of Technology in 2006, his thesis was about applying Multiobjective optimisation algorithms in the design of a turbojet engine. His BSc was in General Engineering from Al Akhawayn University in General Engineering with focus in computer networks and applied mathematics in 2001. He also worked on several research project such as uncertainty quantification at Heriot Watt University which aims at quantifying the oil in a reservoir. He worked as an Associate in Swedish trade Council between 2009-2013. Interests: Brain Computer Interfaces (BCIs), Biomedical Engineering, Assistive Technology, Physiological Signal Analysis, Biomechanical Signal Analysis, Biofeedback, Programming Methodoligies, Software Developement. Johnalan (Jack) Keegan received his Diploma in Applied Electronics in from Dublin Institute of Technology (DIT) in 2001. After two years travelling he resumed his studies and was awarded the BEng in Electrical/Electronic Engineering from DIT in 2005. 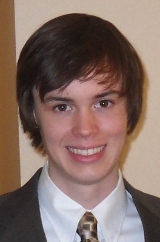 His final year thesis was entitled Classification of Cortical Potentials for Brain Computer Interfaces (BCIs). 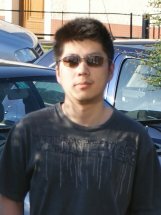 From June 2005 to December 2006 Johnalan worked as a software developer and project manager in a start-up software company. 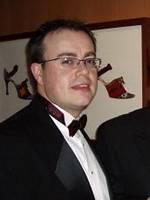 He commenced his PhD researcher at the DIT in December 2006. His research topic is the integration of bioelectrical and biomechanical signals for rehabilitation and assisitve technology. 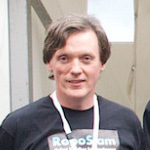 Johnalan is also a committee member on his local Irish Linux User Group (ILUG) and a member of a number of other interest groups such as the Irish PHP User Group (iePUG), and the international Extreme Programming Special Interest Group (XPSIG). Interests: Health Informatics, Electronic Health Record, context-aware system, pervasive computing. Xu (Paul) Chen was enrolled in University of Shanghai for Science and Technology in China to major in the speciality which is an international college cooperative programme jointly offered by USST and Griffith College Dublin, Ireland. He received his BSc in Computer Science from GCD in 2005. 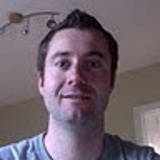 He went on to graduate from UCD with MSc in Ubiquitous and Multimedia System from UCD in 2007. The title of his thesis was A SMIL Player for Next Generation Mobile Devices and also a related paper Towards a Pervasive Mobile Multimedia Experience was published together with his supervisers at the 6th international conference of Computer Information Systems and Industrial Management (CISIM 2007). After seven months working with IBM Ireland, he commenced his PhD reseach in 2008 and his research project is entitled Identity and Security Issues Associated with Implementation of a National EHR System. 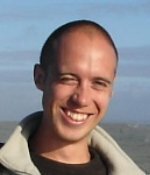 Interests: Physiological Signal Analysis, Biomechanical Signal Analysis, Biomedical Engineering, Biofeedback, Assistive Technology, Biological Control Systems, Brain Computer Interfaces. Interests: Medical Informatics, Data Streaming, Sensor Networks, Distributed Computing, Biomedical Information Retrieval, Biomedical Ontologies, Information Extraction, Bio-entity Recognition, Inter-entity Relationship Extraction. Interests: Human-computer interaction, computer programming. Interests: Audio Signal Processing and Embedded Systems, Biomedical Engineering, Assistive Technology, Analog Circuit Design, Acoustics. Interests: Assistive Technology, Impact Biomechanics, Biomedical Engineering, Metalwork/fabrication. Interests: Bio-Signal Acquisition, Assistive Technologies, Bio-potential Instrumentation Development, Integrated Circuit Accelerometers, Wireless Data transmission, Programming Methodologies.